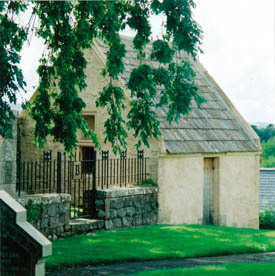 The objects of the Society are to stimulate pride in local tradition, to become by the active interests of its members the responsible custodian of the very individual character and rich architectural heritage of the burghs and rural villages of Fife and to safeguard and improve the amenities of the neighbourhood. Over the years, the Society has acted, and continues to act, as a watchdog on planning issues. In its early days, it was involved in plans to bring substandard properties of interesting or historic interest up to acceptable standards as modern dwellings. A legacy of this activity is the ownership of the buildings in Ceres which house the Fife Folk Museum, which was founded by the Society in 1964, officially opening its doors in 1968. The Museum is now run by a separate Trust, and continues to enjoy a warm relationship with its landlord. The early sixties also saw involvement in town centre improvement schemes. CNFPS was involved in a scheme carried out in Cupar town centre in a co-ordinating role, and was consulted on the designation of parts of the other burghs in the area as conservation areas. The future of our historic towns is again a live issue for the Society. CNFPS has sought to work with partner organisations wherever there are overlapping interests. The Scottish Rights of Way Society, CNFPS members, the Boy Scouts and Girl Guides were all involved in project to log and walk local rights of way. With the Scottish Wildlife Trust, the Society provided information and cleared a path for the first nature and geology trail through Dura Den. Tree planting and general countryside issues have also been a major area of concern for the Society. The Society has also worked with a number of groups on building preservation or restoration work—most recently on the church clock towers at Tayport and Ceres. CNFPS played a lead role in commissioning the cleaning and repair of the statue of David Maitland Makgill Crichton by the railway station in Cupar. 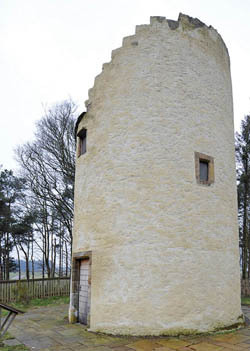 The Society also is responsible for the maintenance of two doocots: the re-used windmill at the Melville Lodges roundabout and one of three in Letham village. As well as taking an active role in maintaining and enhancing the appearance and amenity of the area, CNFPS instituted a triennial award designed to encourage and recognise best practice not only in conservation but in new design. These awards are presented for the best examples of new design, conservation work, or a combination of the two in buildings, gardens and landscape work throughout the area, wherever these are in public view. The immediate concerns have changed over the years, but CNFPS continues to work for, and with, all those who are concerned about the character and amenity of north Fife as a place to live, work or visit.